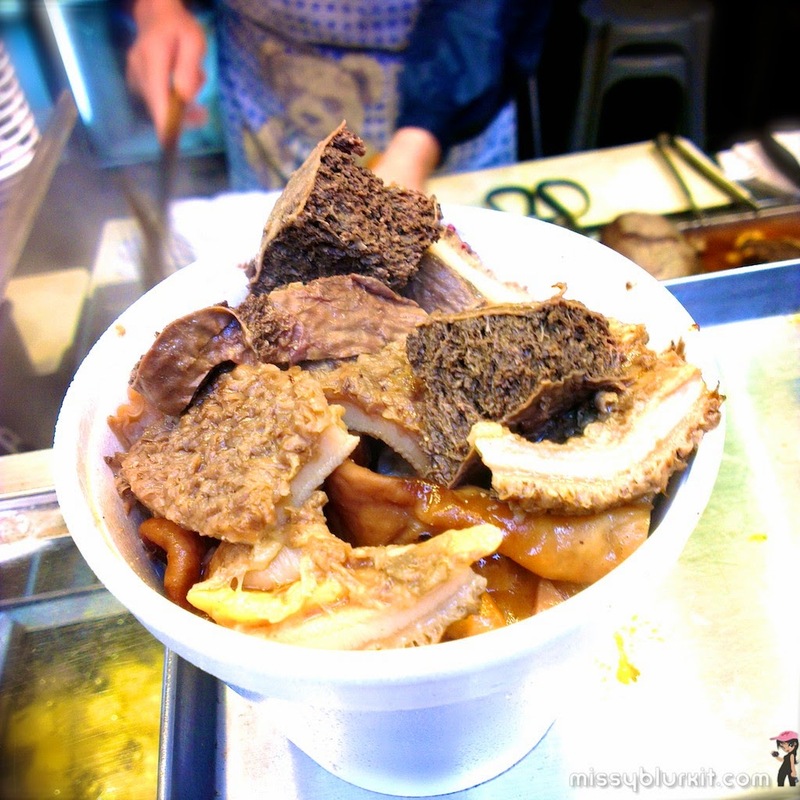 Want a taste and feel of Hiroshima? 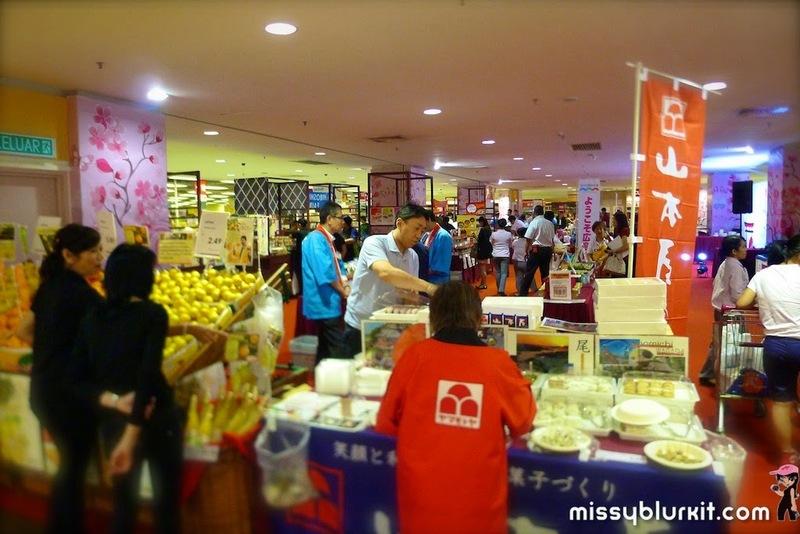 Then head down to AEON Bandar Utama and AEON Mid Valley from today till 9th April for the Hiroshima Fair. Consumers will be able to experience the very essence that makes up Hiroshima with 17 suppliers from Hiroshima, Japan who are here to promote the Japanese culture, culinary and lifestyle. 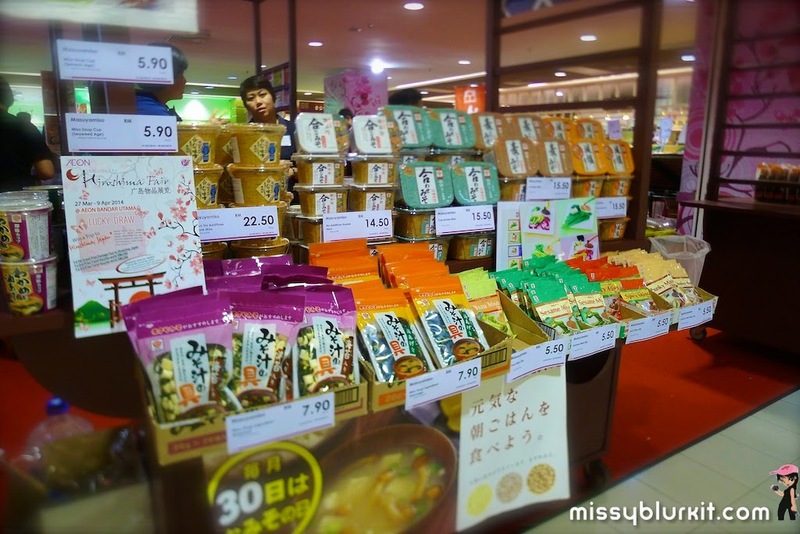 With over 100 products, shoppers can delight in the many fine Japanese products including the traditional drink Hiyashi Ame, Japanese sponge cake Castella and Convenience Miso Soup. There are also plenty of food tasting sessions for shoppers to experience Hiroshima's finest delicacies including okonomiyaki, dekopon and more. 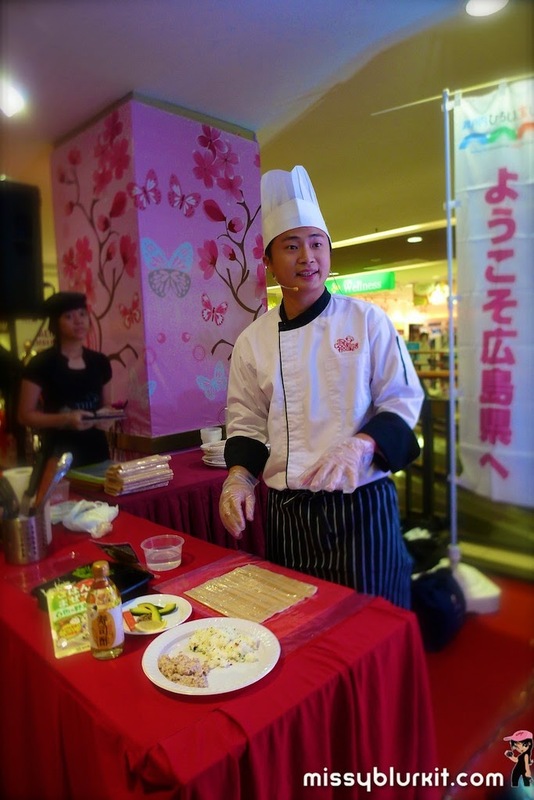 And for those who love cooking, be sure to attend the demonstration sessions on how to make your own sushi bento. 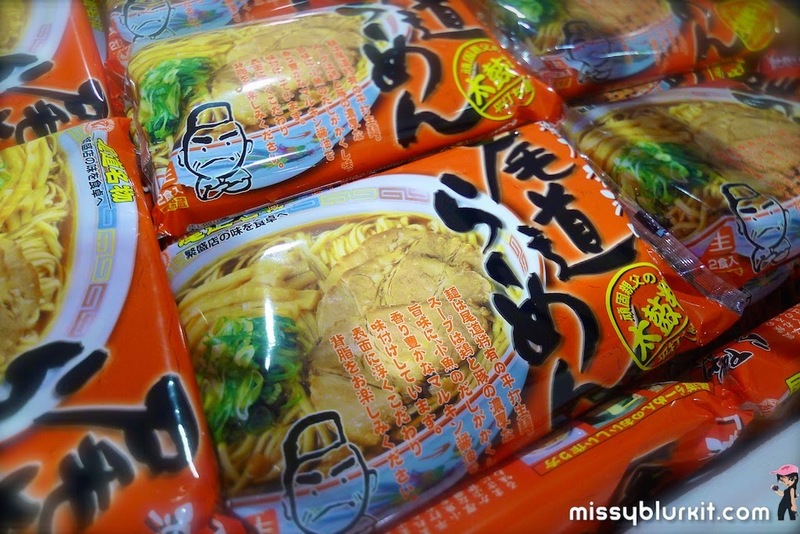 An assortment of noodles including some non halal ones. 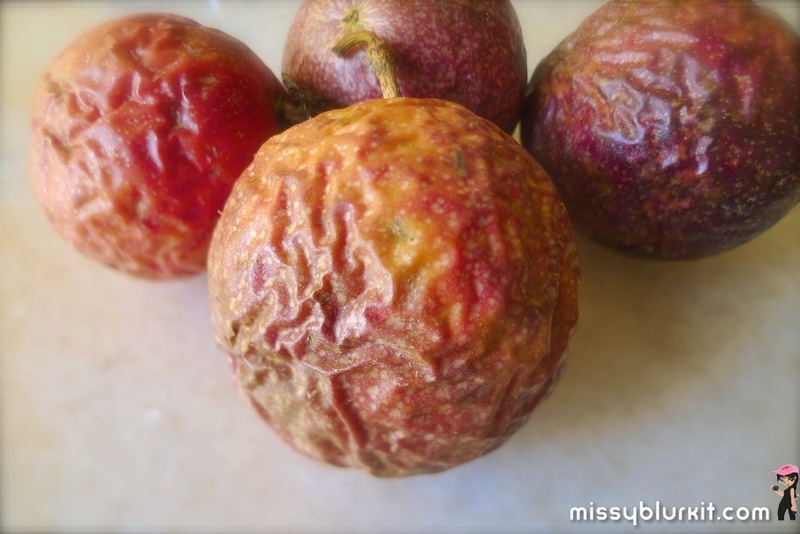 These Dekopon are absolutely delightful and I bought quite a few for more my breakfast smoothies and salads. 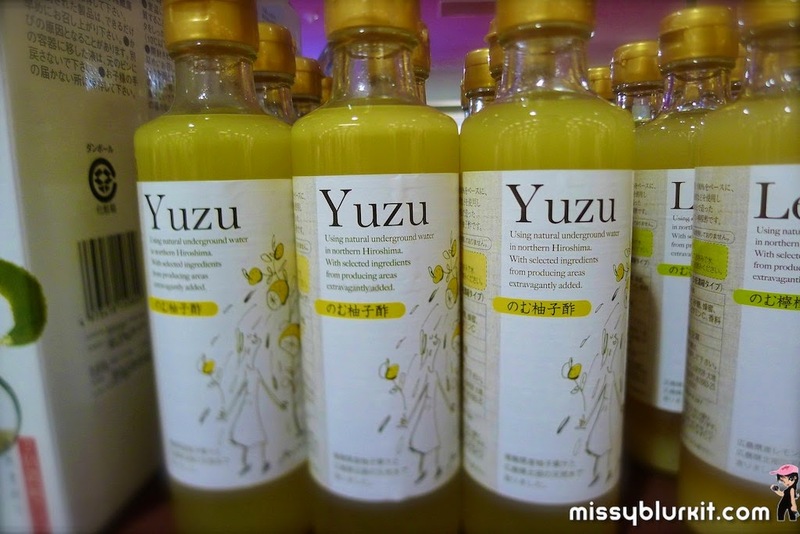 Highly recommended is this refreshing Yuzu drink with apple juice and spring water. The hubster adores this drink so we will surely need to head back to this Hiroshima Fair to stock up more. The many types of miso options. 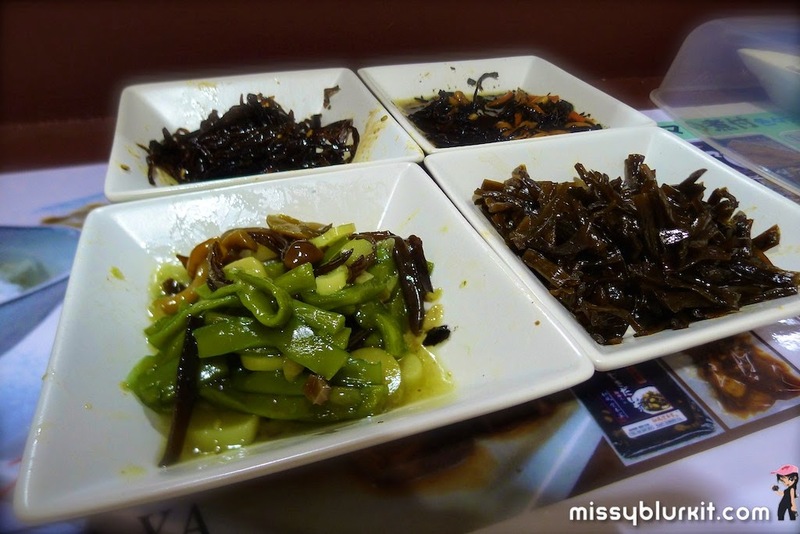 The many Japanese traditional pickles. Don't be shy to sample before you buy! These ladies are friendly! 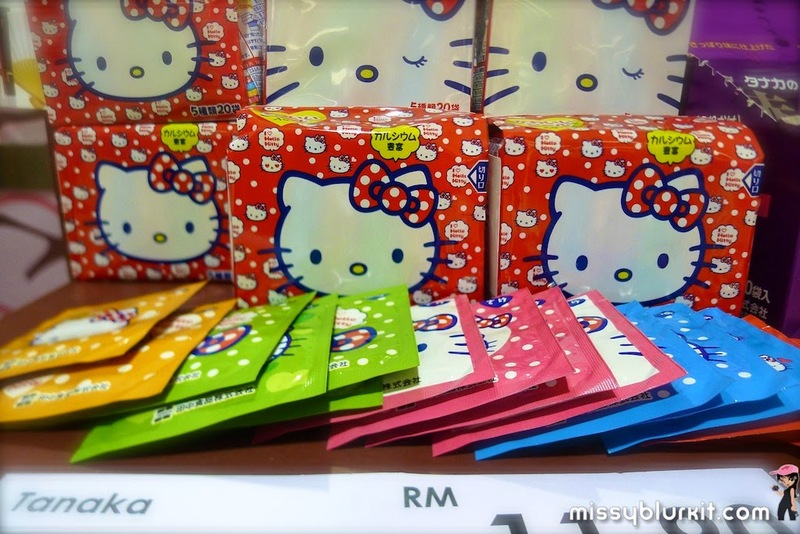 A must for Hello Kitty fans!!! Sushi Bento demonstration sessions are in stored. 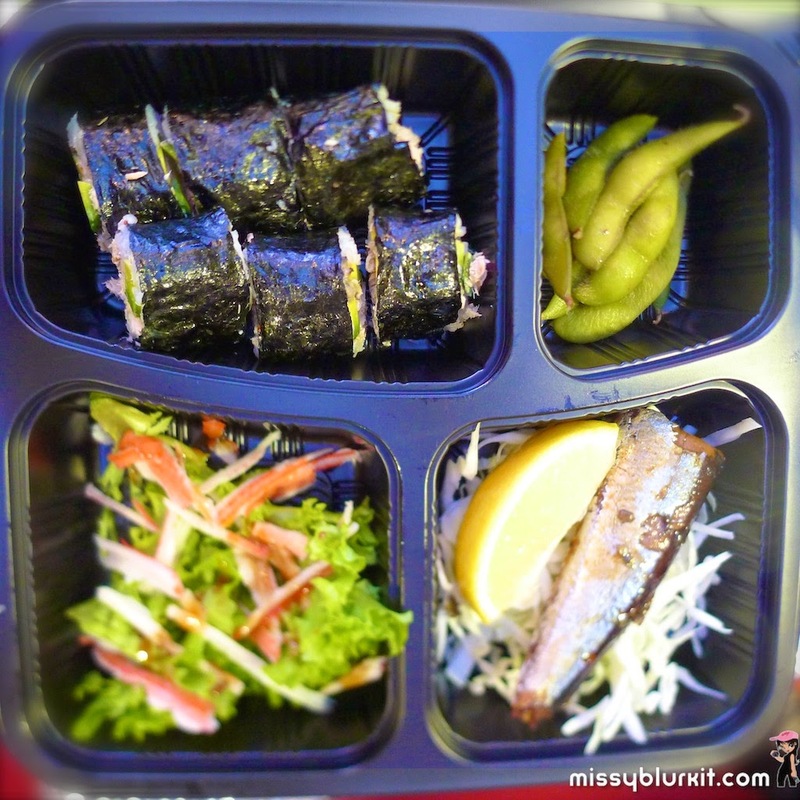 ...my attempt at sushi bento...looks quite good eh? 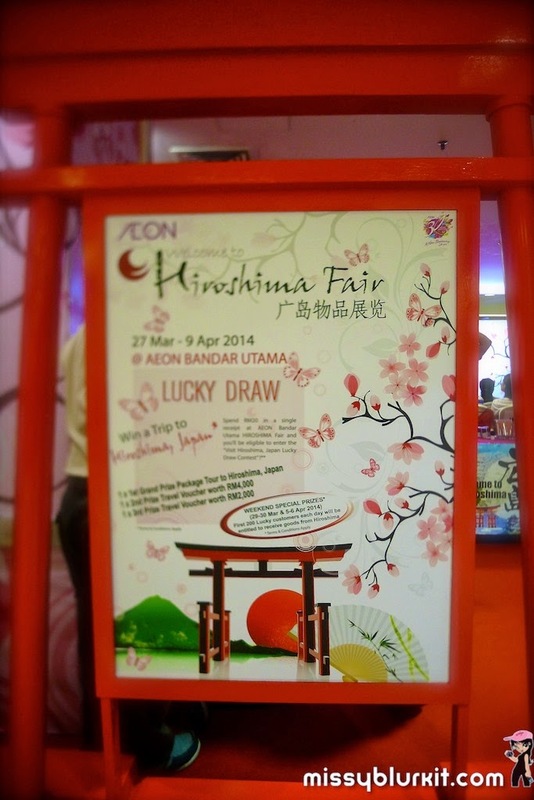 Shoppers who spend RM20 in a single receipt at the Hiroshma Fair will be entitled to a lucky draw. One lucky grand prize winner will win a tour package to Hiroshima, Japan and there's plenty of other prizes too. Like this post? 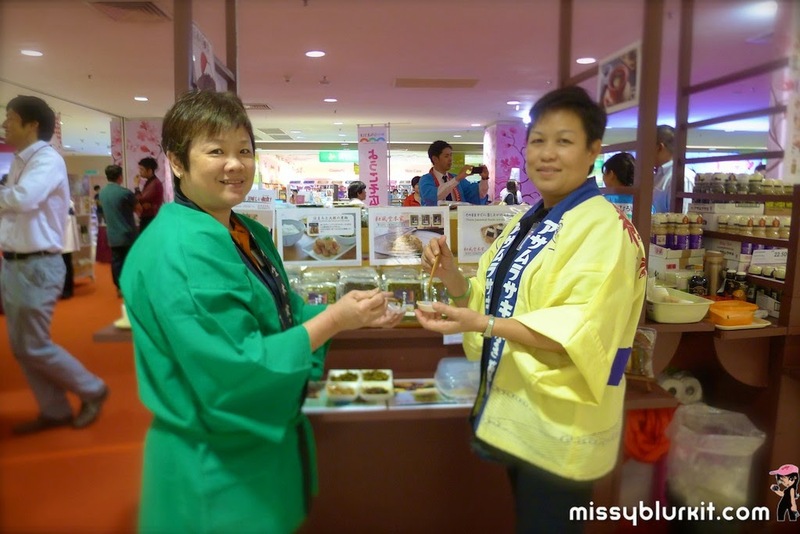 Head on to Missyblurkit to check out more pics for this Hiroshima Fair. Do also head on over to the following channels to stalk me (and show some love too)! 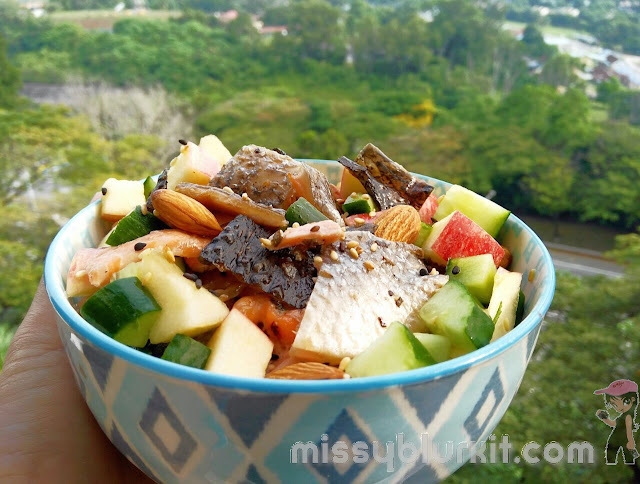 Clean eats continues and the following Smoked Salmon Salad is my entry for Chef Nadia Lim's Mystery Bag Food Challenge. 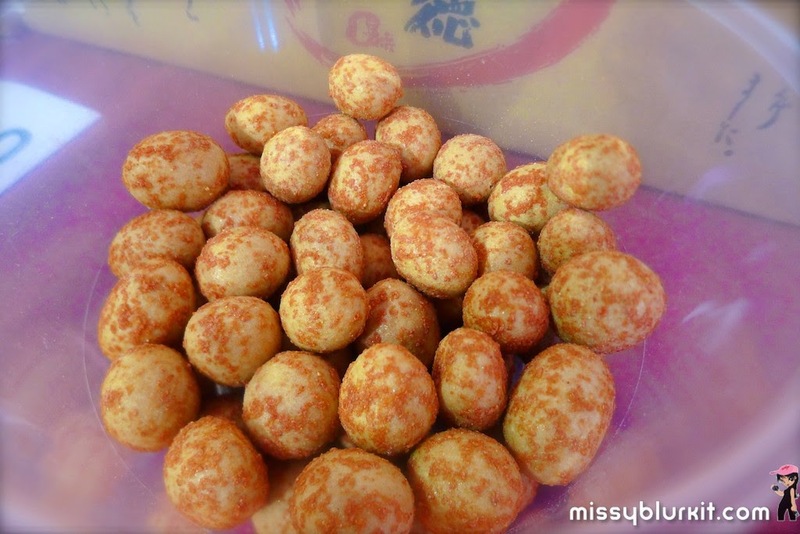 Simple, no frills recipe that anyone can whip our even if you do not have a kitchen. 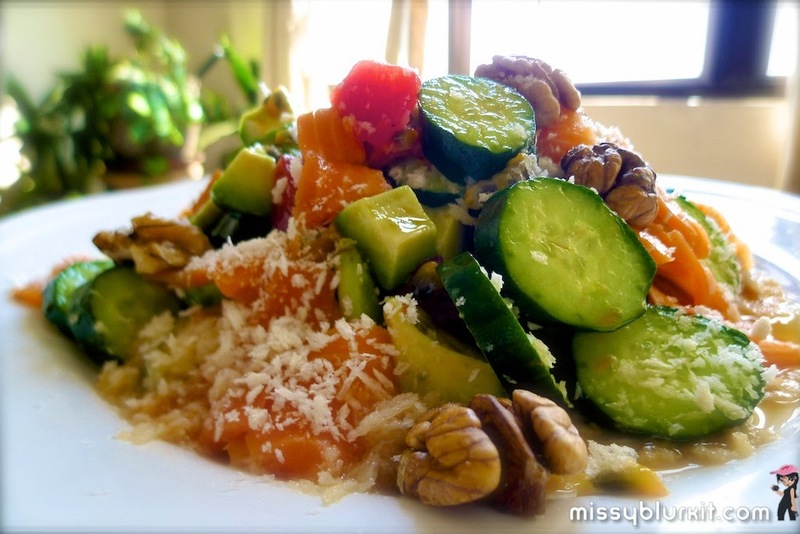 The recipe calls for no dressing (like most of my other salads). I love relying on the ingredients to flavour a salad. In this salad, the watermelon and passion fruits provides tonnes of flavour while the avocado adds on a creamy texture. And for some added crunch, the breadcrumbs come in handy with a clean taste to it too. 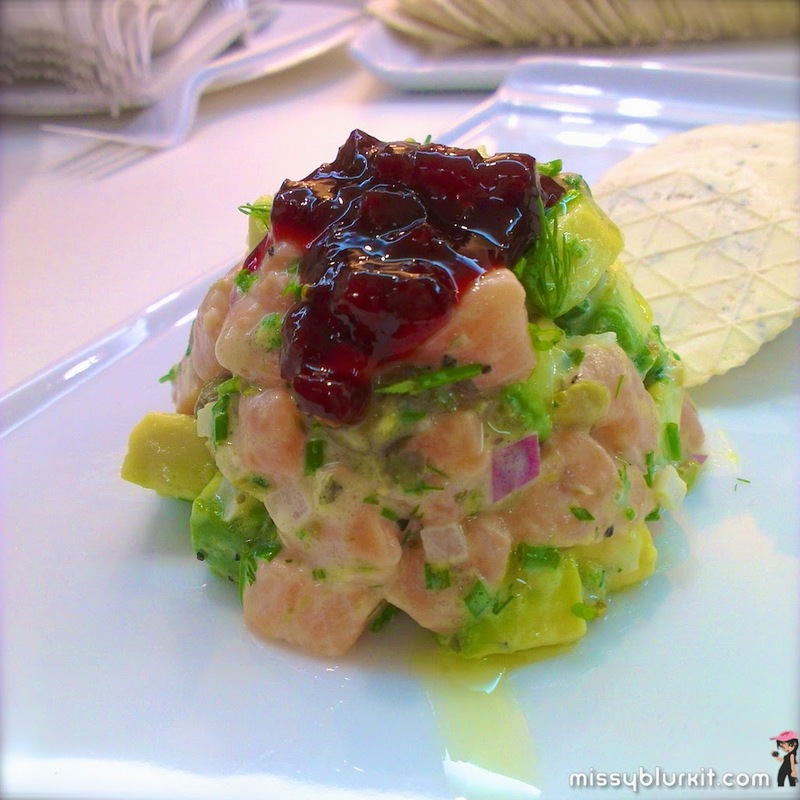 • Cube watermelon, avocado and cucumber. 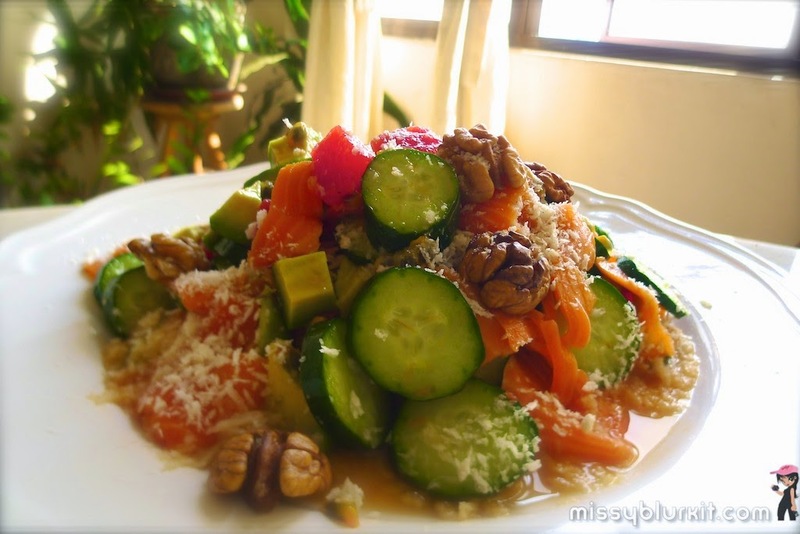 • Toss passion fruit, watermelon, avocado, walnuts and smoked salmon well to coat the ingredients with the juices of the fruits. 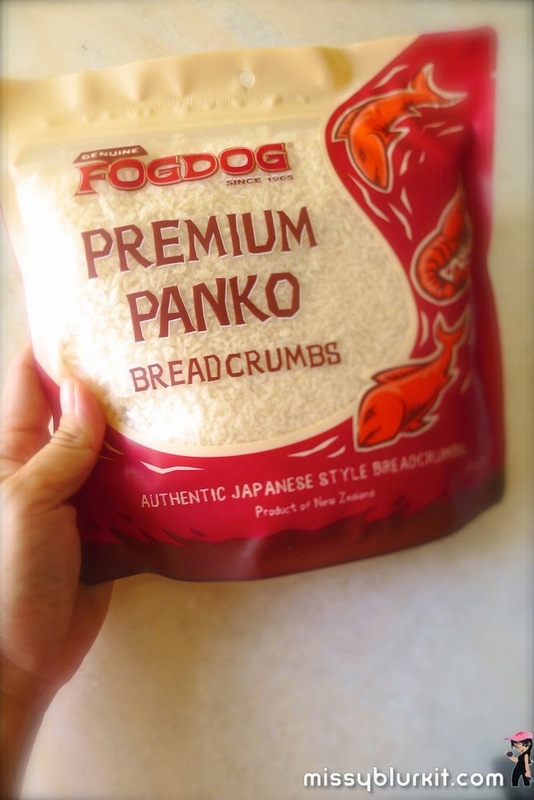 • Top with breadcrumbs before serving. ##You can add hard boiled egg too for extra protein but I have been eating too much eggs over the week, so am going easy with eggs this week. Low in calories and high in nutrition. Simple enough for lazy days. It may seem a tad big for many but I love having a whole salad for a meal itself. This salad is definitely a complete meal of its own with protein, fibre and even carbohydrates for me to recover from my run this morning. Carbs? Yes...there are carbs in my choice of watermelon, avocadoes and passion fruit. In fact these are good carbs! Do head on over to the following channels to stalk me (and show some love too)! I love food. And I love it when is simple, no frills and makes the best of fresh clean ingredients. 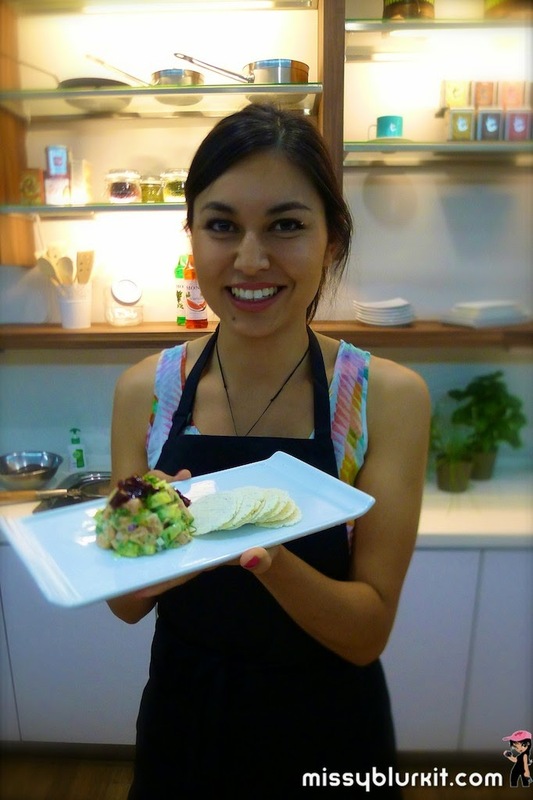 Over the week, it was an honour to be able to meet MasterChef New Zealand winner Nadia Lim in person, watched her cook smack before our eyes and tasted her cooking too. 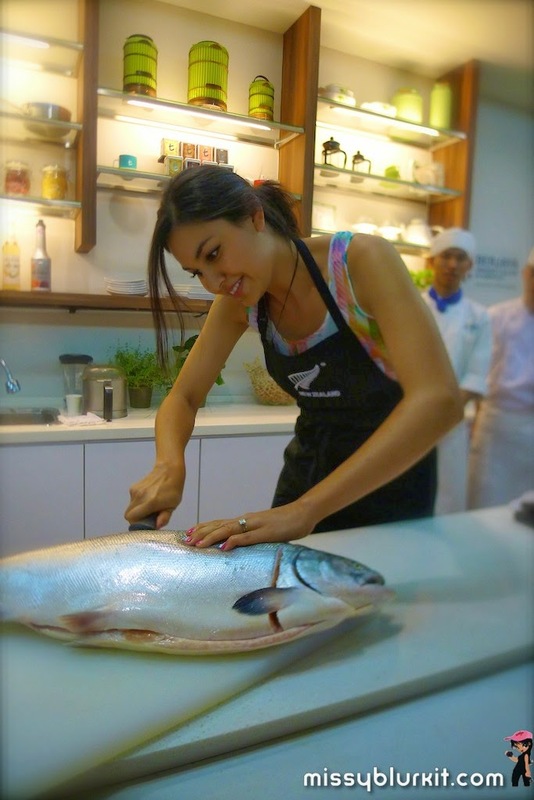 Nadia was in town to promote the New Zealand Week 2014 happening in town. She's definitely the right person. 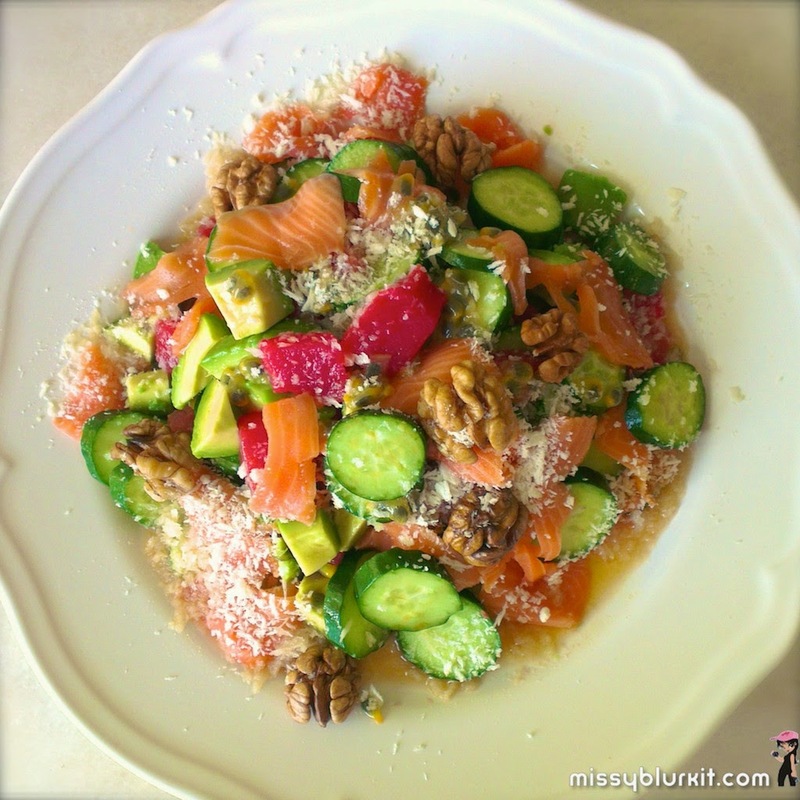 Check out her blog and Facebook for more updates on clean eating. Meeting her in person, she's definitely an epitome of clean eating. 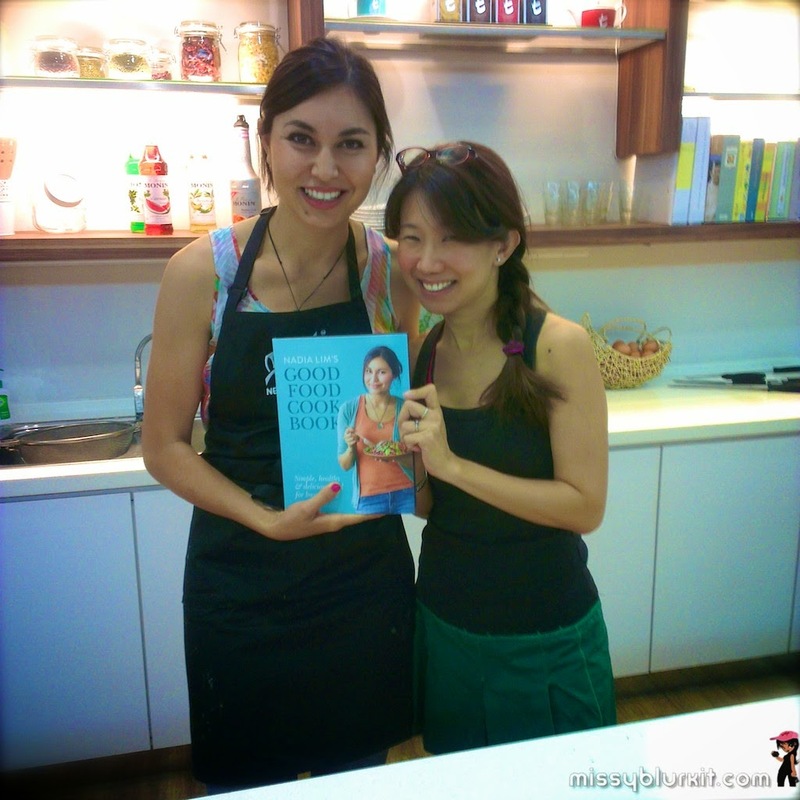 Bubbly, friendly and fun...that's Nadia Lim in person and you pretty much see her character in her recipes too. 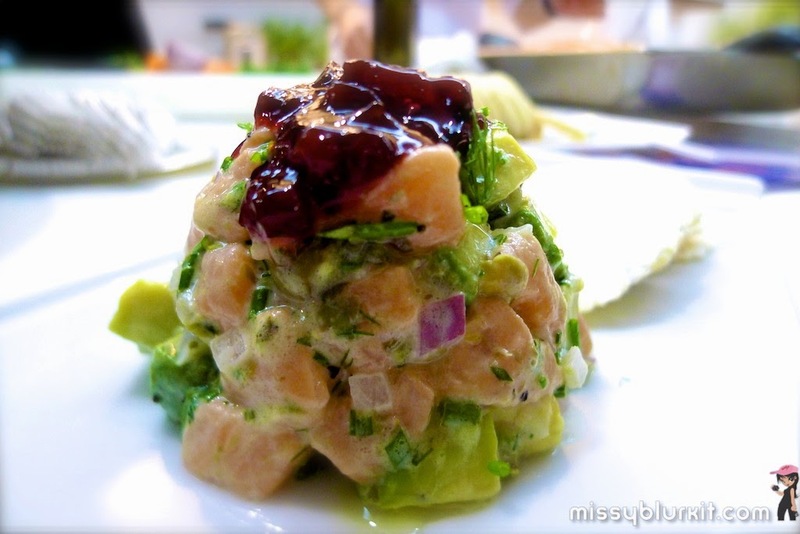 One of the recipes that I loved for its simplicity and taste would be the Salmon and Avocado Tartare. A nice change to my usual beef tartare. 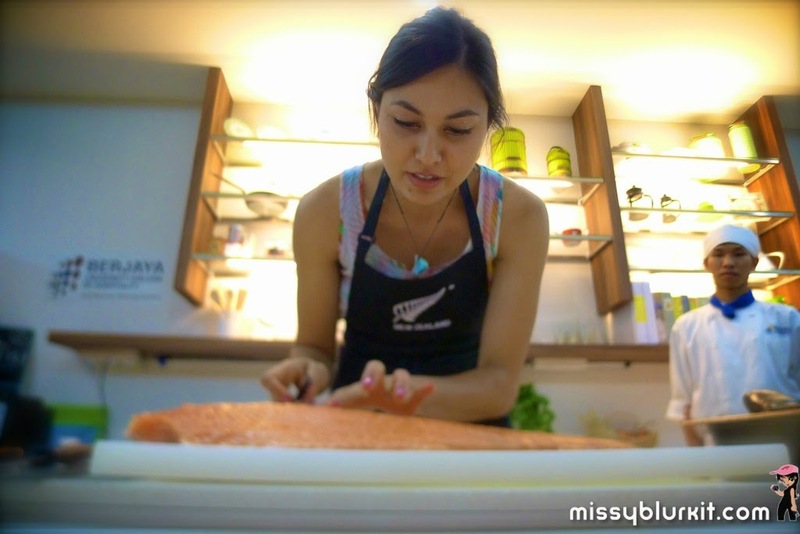 I can't help but am totally amaze that Nadia did a good job of working her culinary skills with the whole salmon that she sliced from scratch. 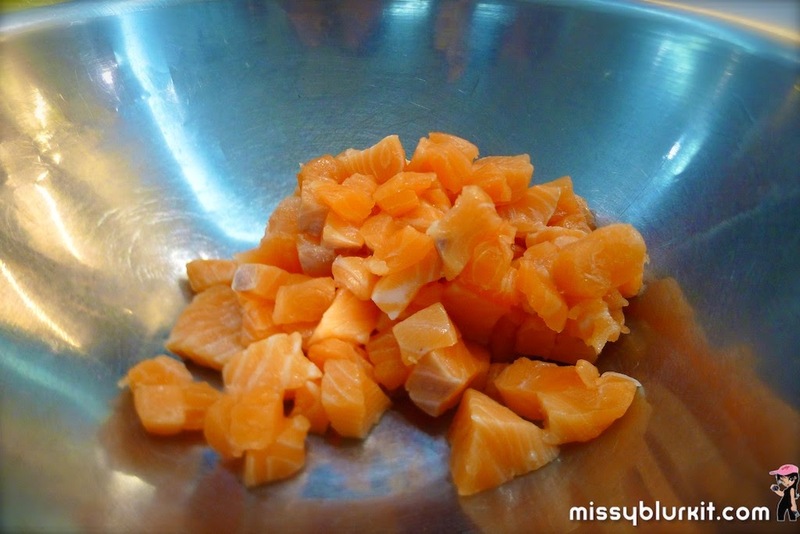 • Using a sharp knife, finely dice the salmon into approximately 0.5-1cm cubes. 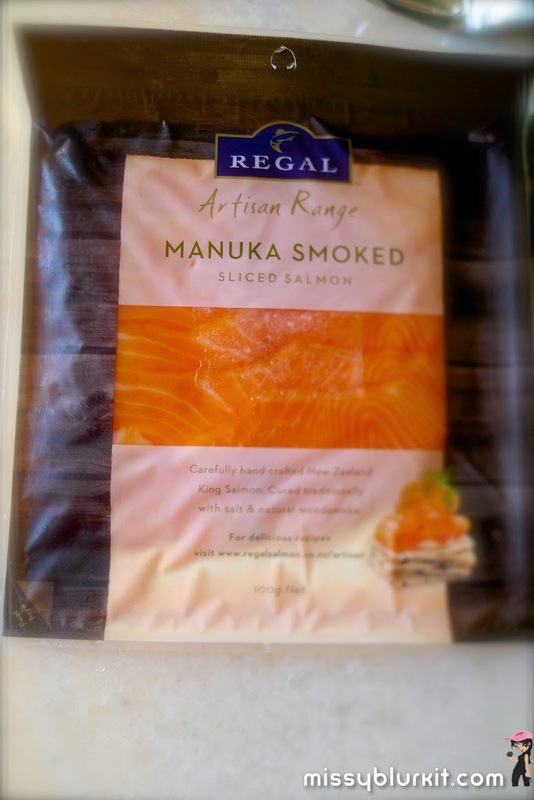 • Mix diced salmon with capers, shallot, chives, dill, and lemon zest together. 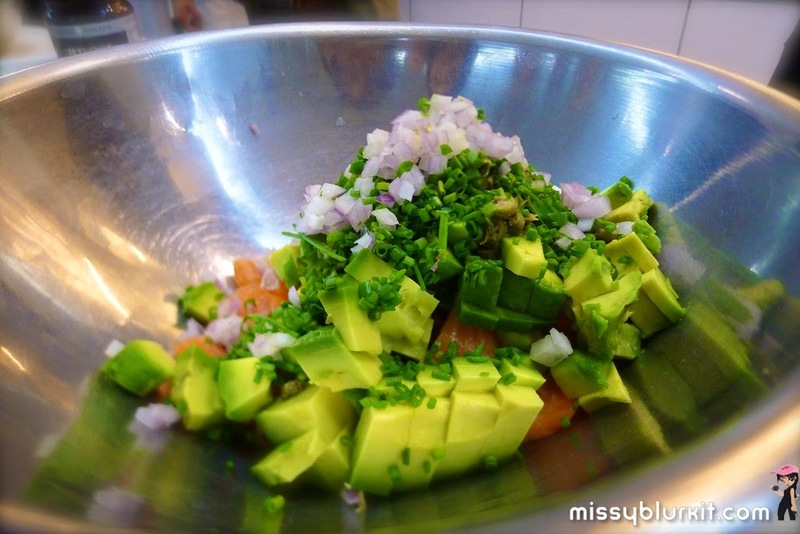 This mixture can keep in the fridge for up to 4 hours until you are ready to serve. 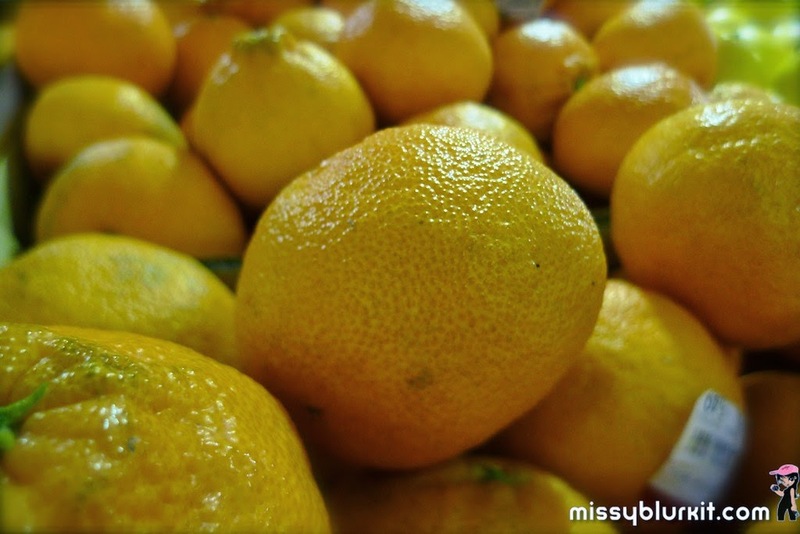 • When ready to serve, mix with lemon juice, extra-virgin olive oil, avocado and flaky sea salt and black pepper, to taste. 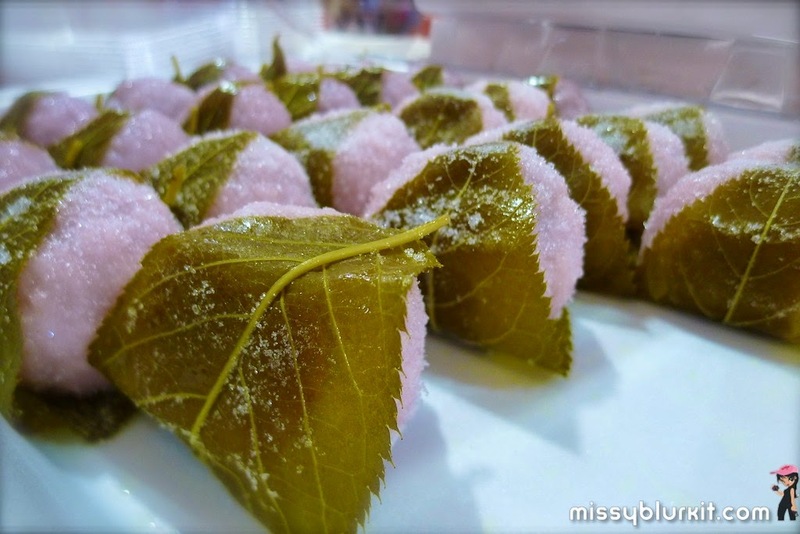 • To assemble, divide mixture evenly and pack into 4 small ramekins, timbale moulds or tea cups. Press mixture down gently, but firmly, with the back of a spoon. Invert each tartare onto individual plates. Serve with crostini or lavash and a little bit of beetroot relish on the side. 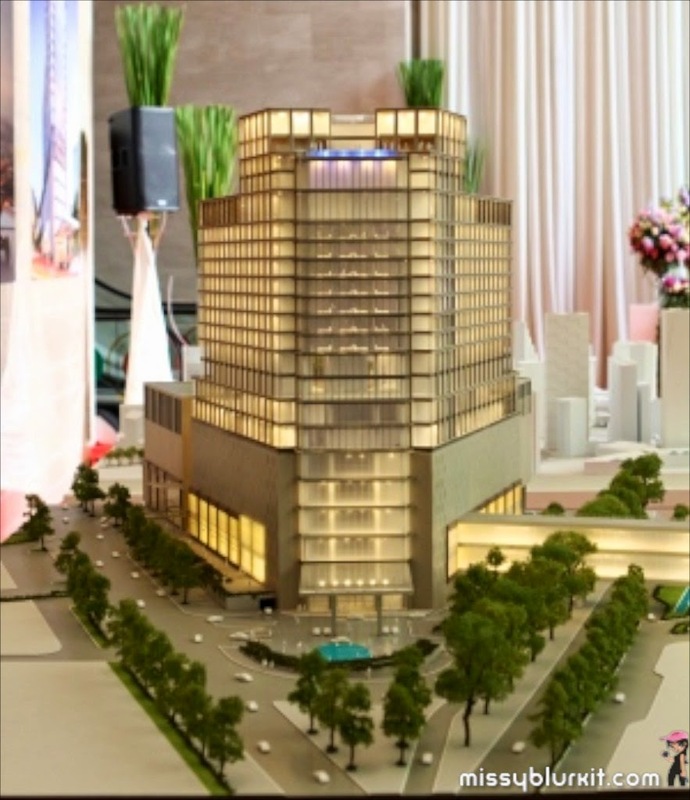 Royale Pavilion Hotel, Kuala Lumpur sets to open its doors in June 2016. This 5 star hotel will be the latest addition to Pavilion KL to compliment its existing retail mall, office tower and condominium. Built at a budget of RM330 million, the hotel will be developed above the renowned and popular Couture Precinct of Pavilion KL. The 329 rooms hotel will be 400sq. ft. to over 600 sq and is set to target business travellers. Facilities will include a banquet hall that can cater to 450 people, meeting facilities, leisure lounge, swimming pool and a gym. 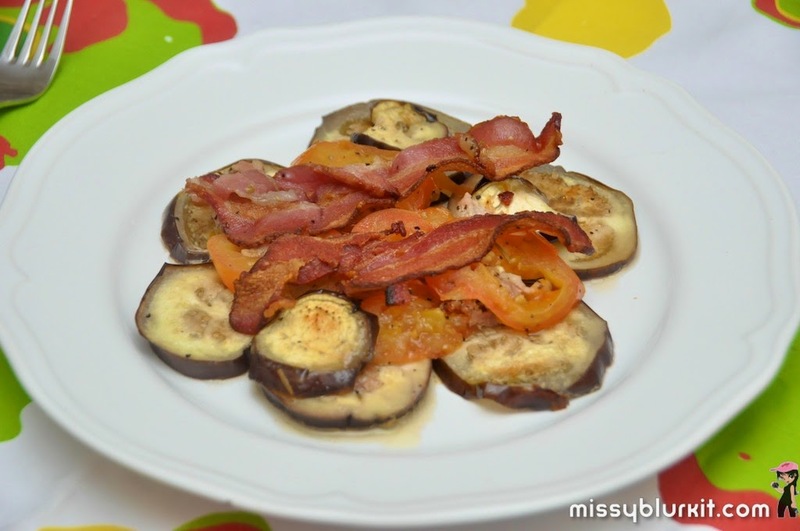 Recipe to put a smile with Bacon Aubergine is simple. All I needed was aubergine, tomatoes and bacon. Herbs and spices were entirely up to one's imagination or preference though I only relied on some some dried rosemary and black pepper. Popped them into the oven for 20 minutes @ 180C and dinner is ready! Nutritious and tasty aubergine and tomatoes. Some call it eggpplant. garden egg or brinjal. 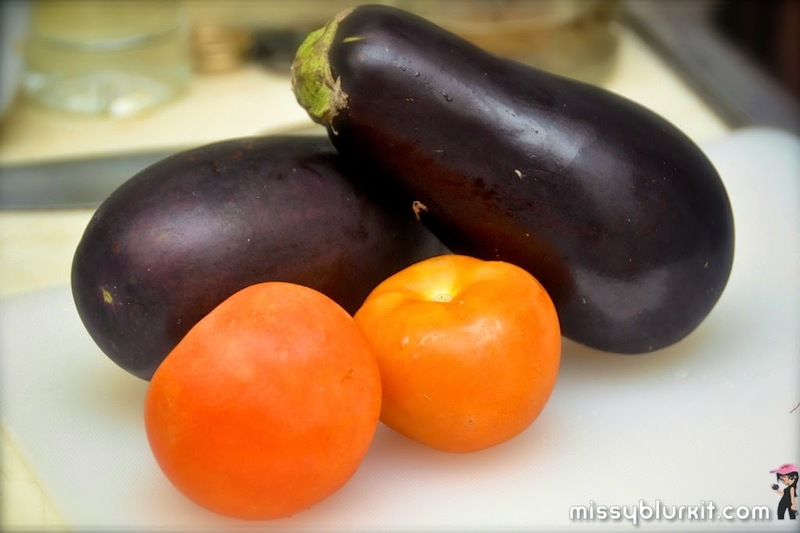 Whatever the name or shape, the aubergine is a delicious plant that is now believed to be beneficial to patients with cancer and high cholesterol. • Rub the aubergine and tomatoes with black pepper and dried rosemary. 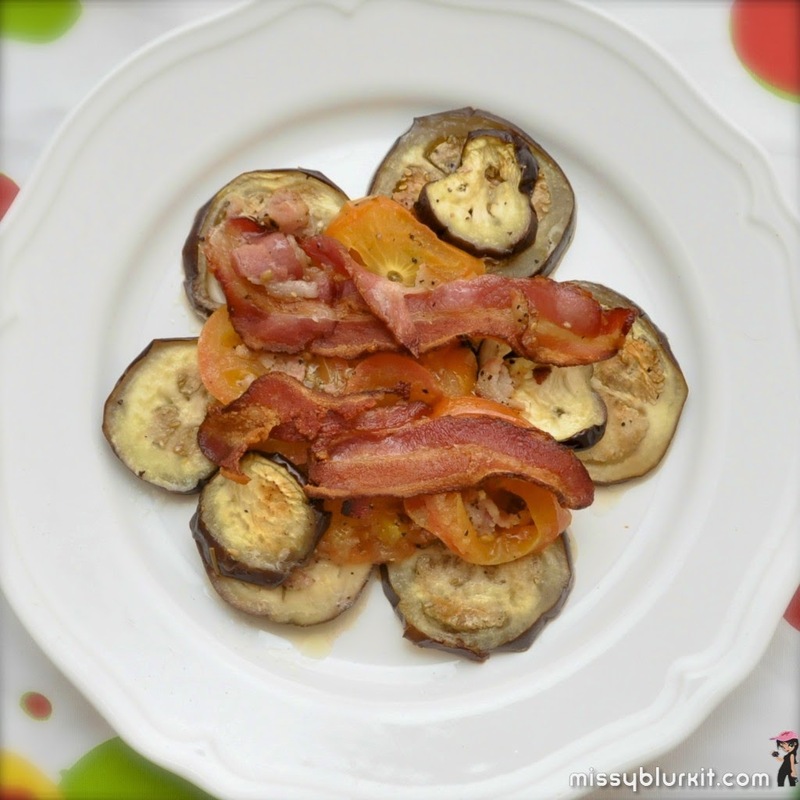 • Layered the tomatoes, aubergine and bacon and topped with more bacon. The bacon on top were crispy while the ones underneath were soft and slightly chewy. • Juices from the bacon flavoured the vegetables making it very palatable for even folks who don't like the rather flat tasting aubergine. Now the not so fun part of being a Domestic Goddess is definitely cleaning up and tidying the house. Having 2 furkids at home is not helping as they both seem to be taking turns to shed! So this Domestic Goddess needs an assistant! Was at Harvey Norman recently and saw the new Electrolux Ergorapido 3rd Generation. Looks promising and I love its standing feature and sleek looks (I can just let it be part of the living room decor:P). Yet to buy it but have a look at the video...let me know your thoughts if its a good buy. 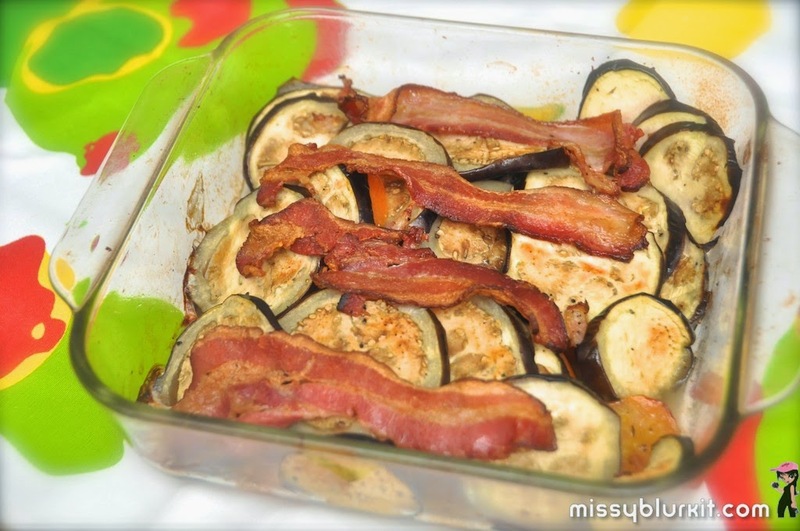 More pics in Bacon Aubergine. Do head on over to the following channels to stalk me (and show some love too)! 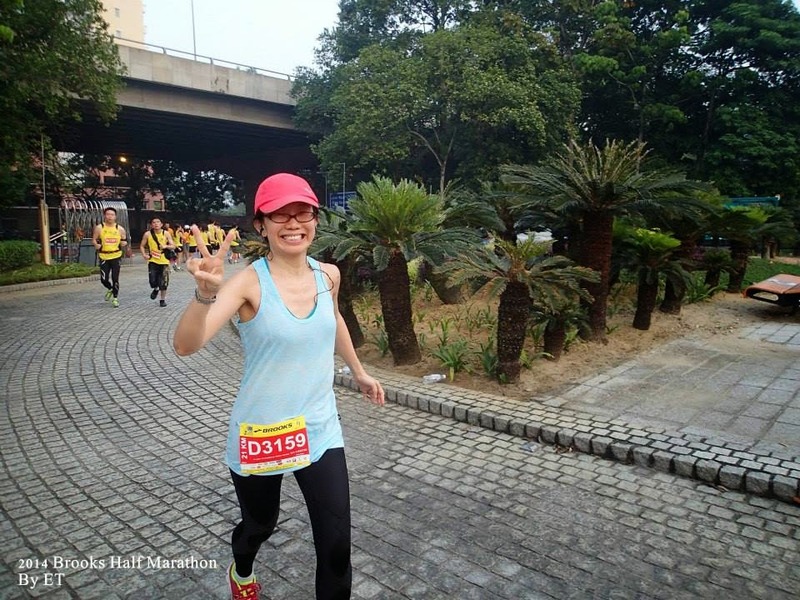 During my short trip to Hong Kong last month to run in the Standard Chartered Hong Kong Marathon, I opted for a hotel that was within the convenience of shopping and food. Most importantly it had to be near to both the starting and finish line. 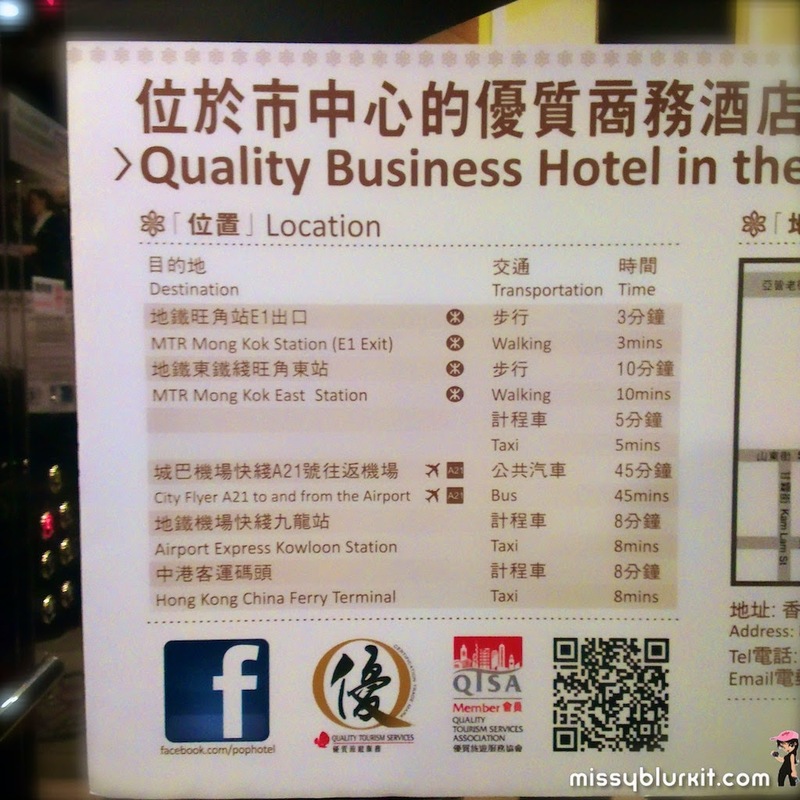 Found the best rates for Pop Hotel in Mong Kok via Agoda. Thankfully Agoda also has their mobile app so that gave me ample opportunity to shop for a hotel when I was in the car or anywhere else. The biggest point for using Agoda's mobile app would be the “Insider Deals” which are special/flash discounts of up to 40% or more, applicable only for bookings made via the Agoda app. Arrived at Hong Kong and I had plenty of options to make my way to Pop Hotel. The most affordable (and very convenient) was to take the bus for HKD33 compared to taking the MTR which I had to switch trains for HKD180. Since I was travelling relatively light, the bus was perfect. Took bus A21 from the airport. Enjoyed my view of Hong Kong through the 45 minutes plus journey. Told the friendly Uncle Bus Driver that I wanted to go and he was kind enough to alert me of my stop. 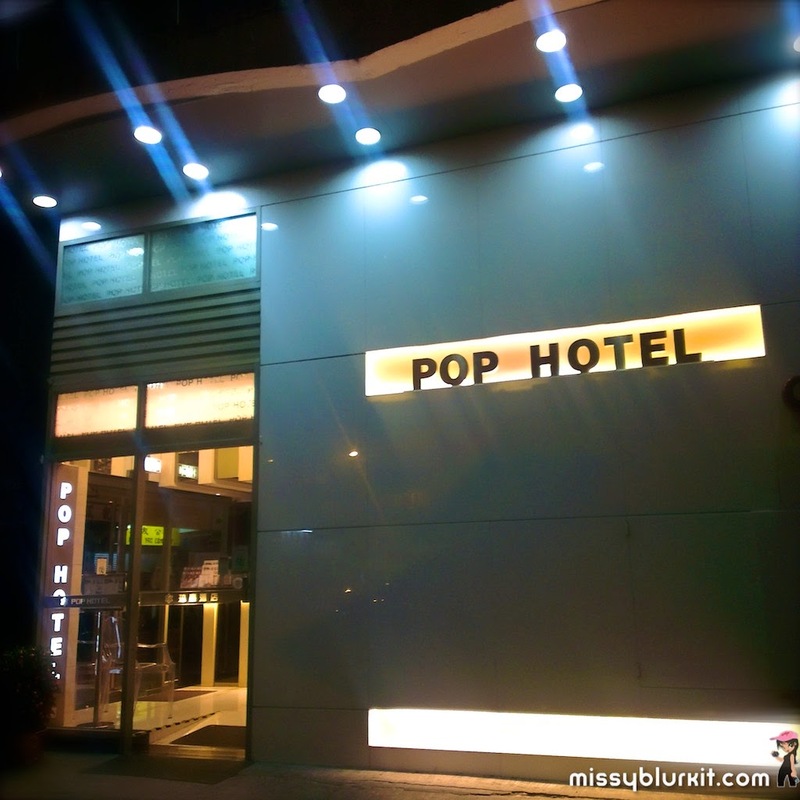 A short 10 minutes stroll and I am at Pop Hotel. This sign on their website and their lift is definitely pretty accurate! Pop Hotel is clean and neat. 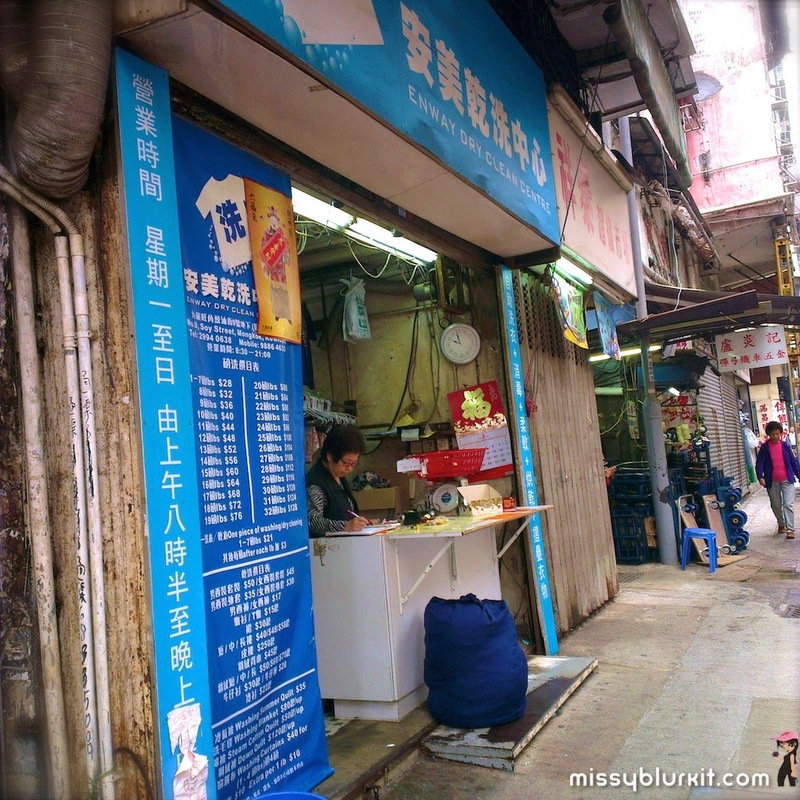 Friendly staff manned the reception and could converse well in English (a big plus for me since my Cantonese isn't quite the best in town). Our standard room came with an attached bathroom complete with basic toiletries of shampoo, shower foam, soap and towel. each room is also provided with bottled water, coffee and tea. No need to travel with my laptop since pop Hotel also has a business centre for you to run through your mails, fax or print documents. All for a rate of RM250 per night. Definitely a good deal and a good reason to make Pop Hotel on my list when I fly in to run again. The usual works of Yochana making herself comfy! Loved the convenience of the hotel with all the food and shopping around it within walking distance even when I needed my midnight snack or early pre run breakfast. Best of all, there is a laundry smack beside Pop Hotel which meant that I didn't have to cart my sweaty post run clothes back home with me! No frills, clean and convenient makes this a good hotel for leisure and business. Shopaholics can shop till they drop with amazing offerings including fashion, sports and electronics. 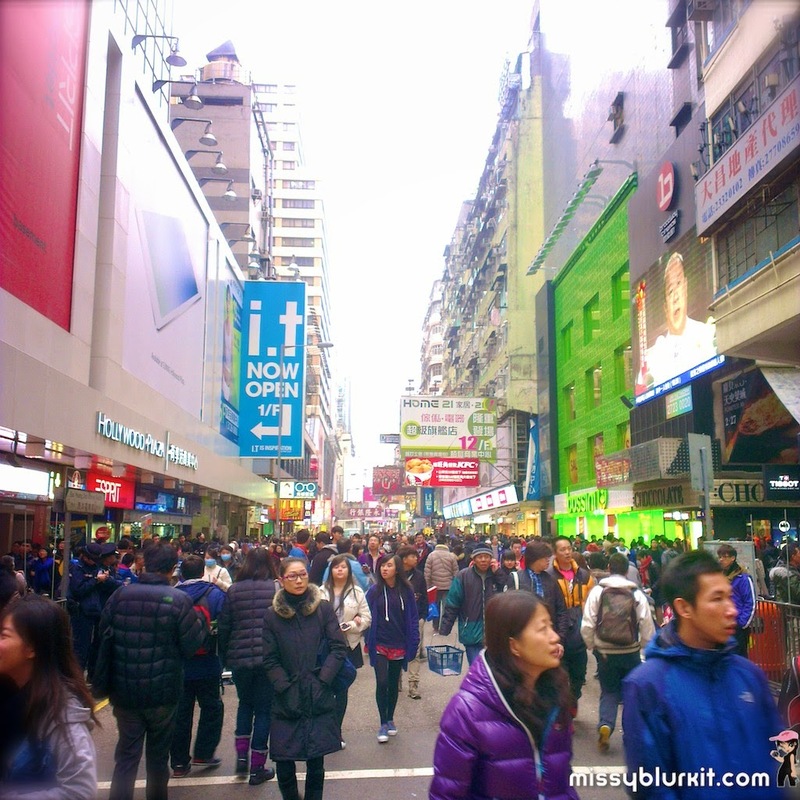 And if you love cooking, the market nearby is also a good spot for you to stock up on cooking ingredients available only in Hong Kong. Foodies will have the joy of exploring this area before returning to recharge themselves before embarking on another round of food trail. 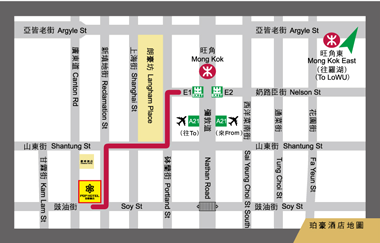 For runners, Pop Hotel is approximately 17 minutes walk from the starting line for SCHKM. Very safe and easy straight route walk to the starting line. A nice warm up walk that has proven to be good to keep me warm despite the race day's temperatures and wind. More pics in the Facebook album SCHKM2014. 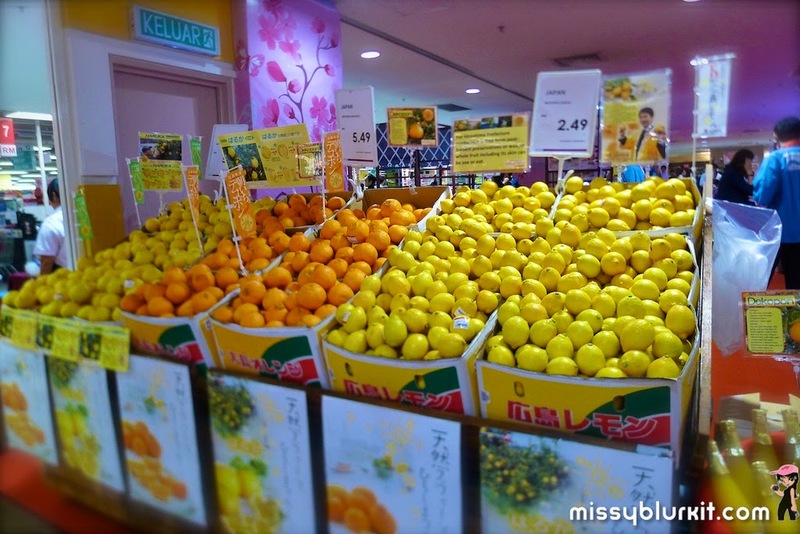 Will be blogging next on food and shopping around Pop Hotel! Do also head on over to the following channels to stalk me for more daily updates! Time out! That's what we all need every now and more so on a Friday night! 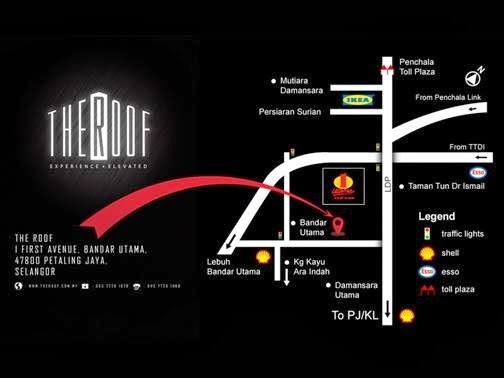 A relatively new spot to hang out and move that body to ease out the week's pent up energy is PLAY @ The Roof. Thanx Xiang for the pics! 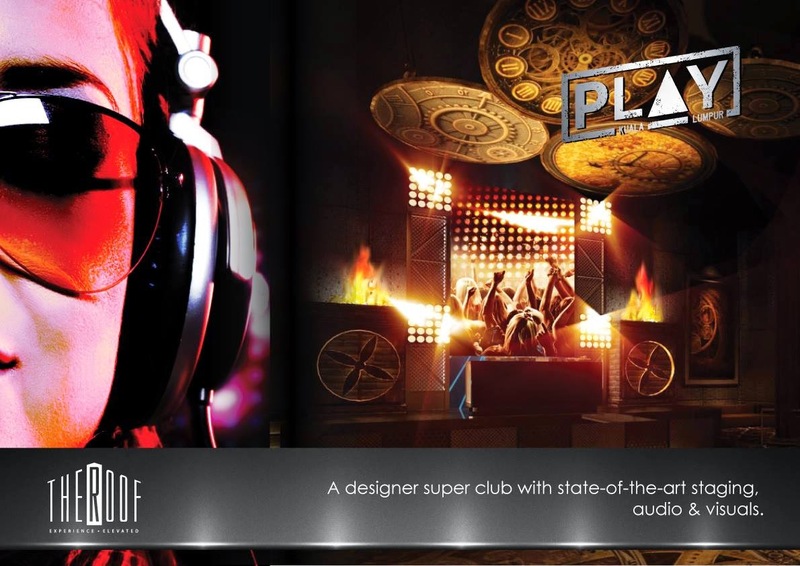 PLAY is a premium dance club. In a glance and you will know that this dance club is not going to pack you like a can of sardines. Well though decor and interiors catches the eyes and pretty much gets you ready for the night to dance away to a view of Petaling Jaya with its pretty lights. And if you are fussy about the sound system when you party, then PLAY is a good spot for you if you want state of the art audio experience. 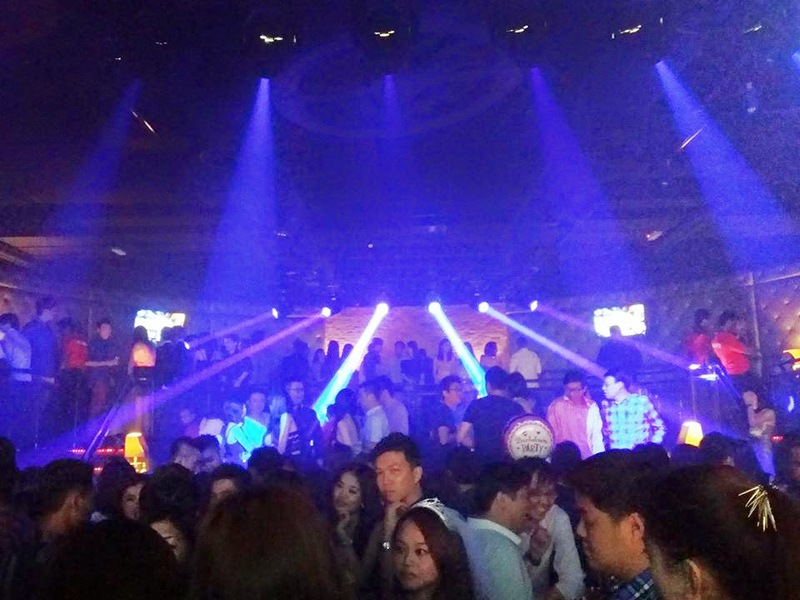 Depending on the days, you may be partying to local and international DJs and even live acts! 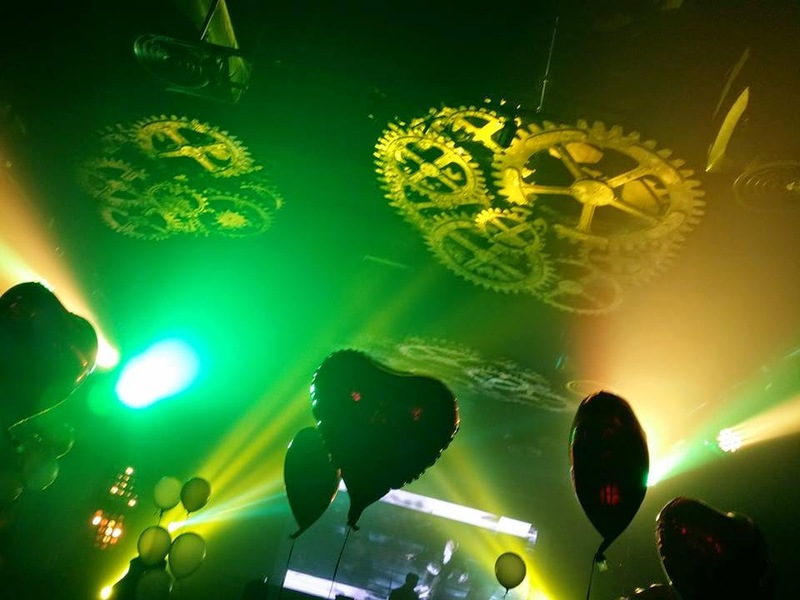 Couple music, visual effects and good company, you are definitely in for a good night out. 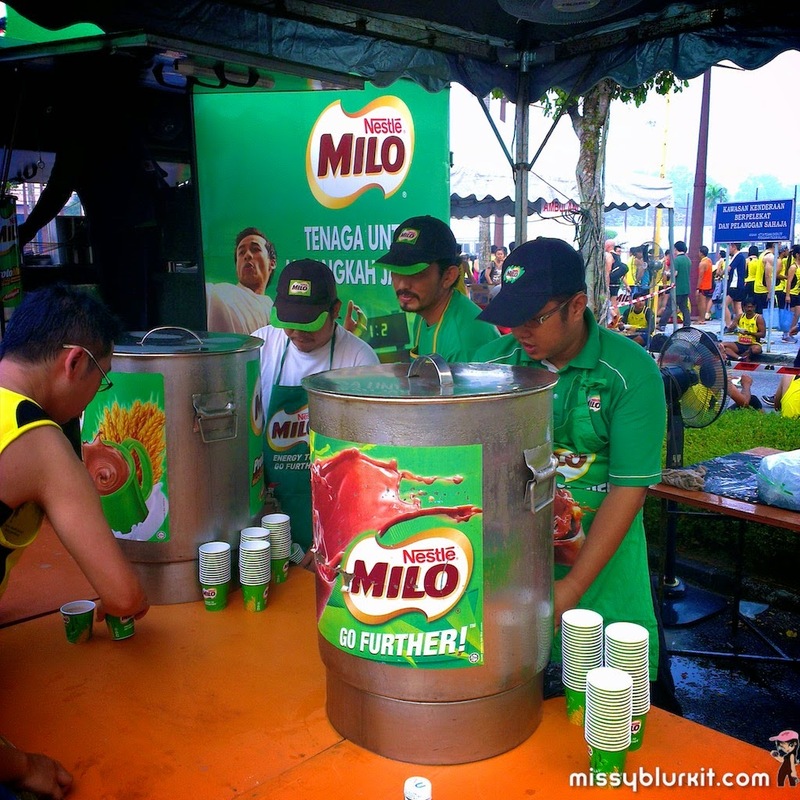 Catch the different drink promotions that are available. What's up for this weekend? Head on to PLAY! Landmark: its the yellowish brown building between One Utama Old Wing and One World Hotel. THANX for reading! Do also head on over to the following channels to stalk me for more daily updates! Contrary to what people think of trainings being boring and regimental routes or routines, there are some ways to spice things up. Participate in a race! And that was precisely what I did 2 weeks ago before I began tapering for MWM2014. 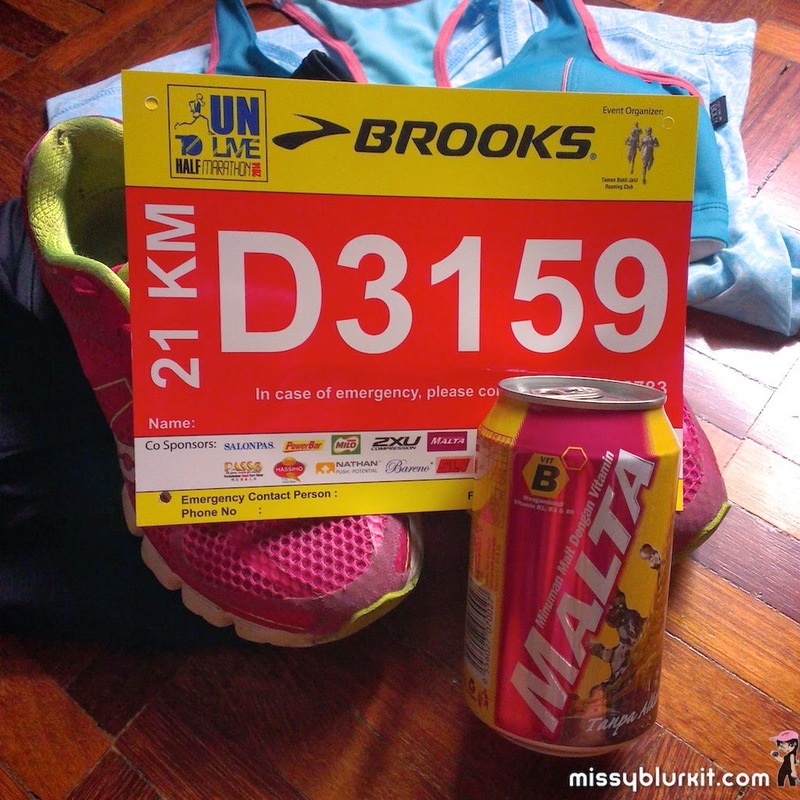 The Brooks Half Marathon 2014 was a nice 21km distance and gave me a relief from my usual training route. It was a tad hazy but the organisers went ahead with the condition improving as time went on. 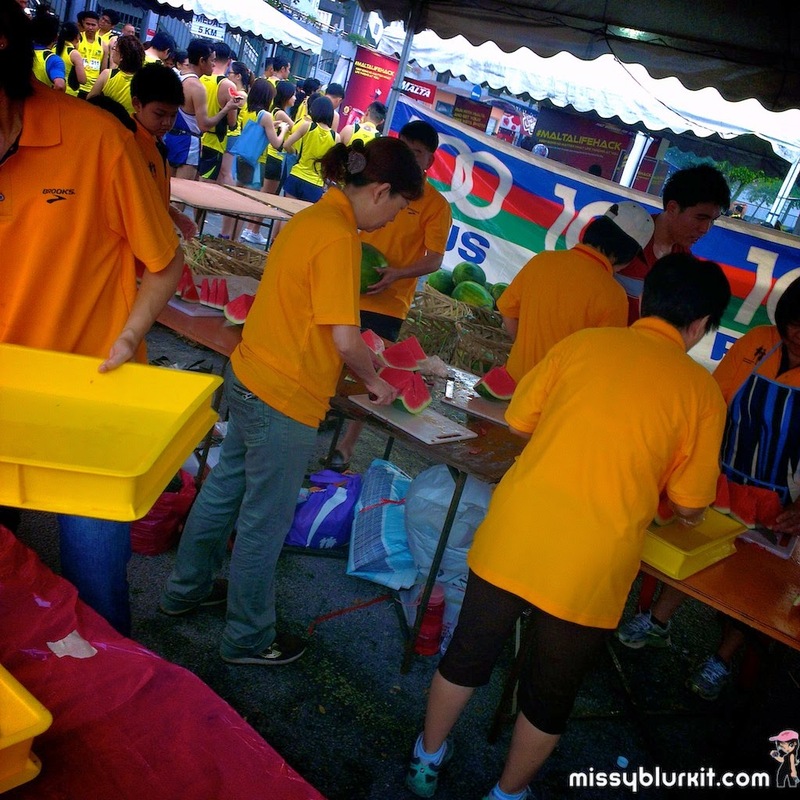 Due credits to be given to the organisers for making clear and frequent announcements to the participants that they will be entitled to their finisher medal and goodie bags should they choose to forfeit from running in view of the weather conditions. I went ahead as I was comfortable and had ran in worse conditions. Its not something I would encourage people to do in the long run but the Brooks Half Marathon was merely going to be a fun run for me. A mere easy paced run for me to cover the necessary mileage. So off I ran with ample water stations filled with water and isotonic. Good and friendly marshalls who obviously woke up much earlier than I did to report for duty but were still alert and energetic enough to greet us and encourage us to keep running. The route is a tad hilly at some stage but it proved to be a refreshing as I had no idea where I was running. Neither had I been through most of the route. Must say that I discovered a new area of Bukit Jalil because of this run. Finished my run at a comfortable nett time of 2:20:55. It was also my very first time running without my hydration belt, leaving me to rely on water stations..a move that I am glad I did! So will certainly be running more runs without my hydration belt in future unless its a maiden race. Regardless of whether one ran 5km, 10km or 21km, everyone certainly had fun. Lots of food and drinks were available at the stadium when we ended our runs. 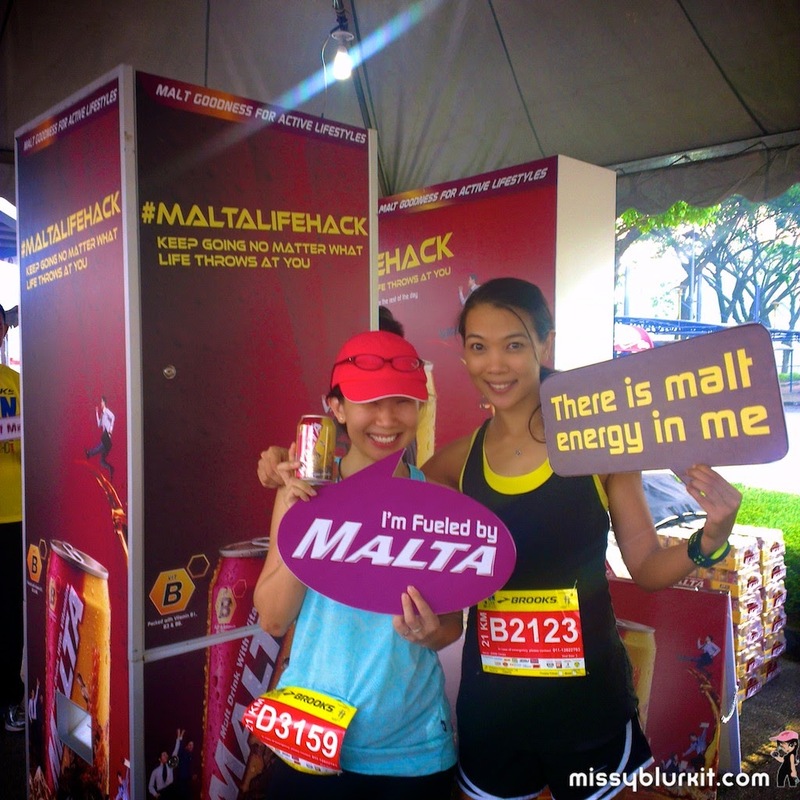 Iced cold Milo, thirst quenching watermelon, soothing tau fu fah and this time I was glad to see energizing Malta! Its one of my fave energy drinks after sports especially when its served really chilled. Retail therapy for many continued even after the race with big discounts for Brooks shoes and clothes plus many other brands of sports related nutrition and gears. 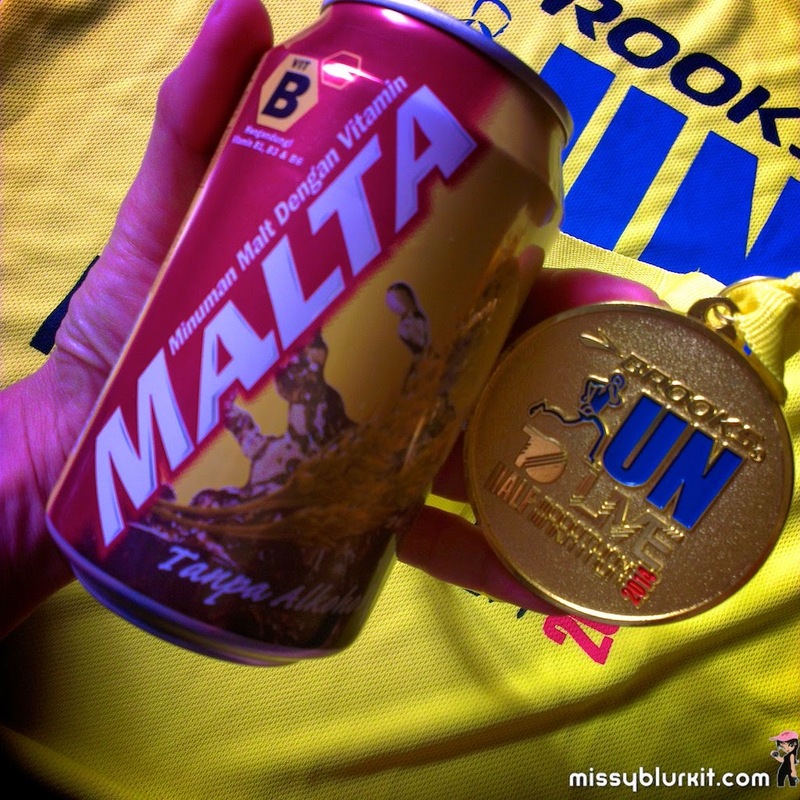 More pics (not much since I was busy running rather than snapping pics) in the album Brooks Half Marathon 2014. Do head on over to the following channels to stalk me for daily updates on food, running and random things I do! 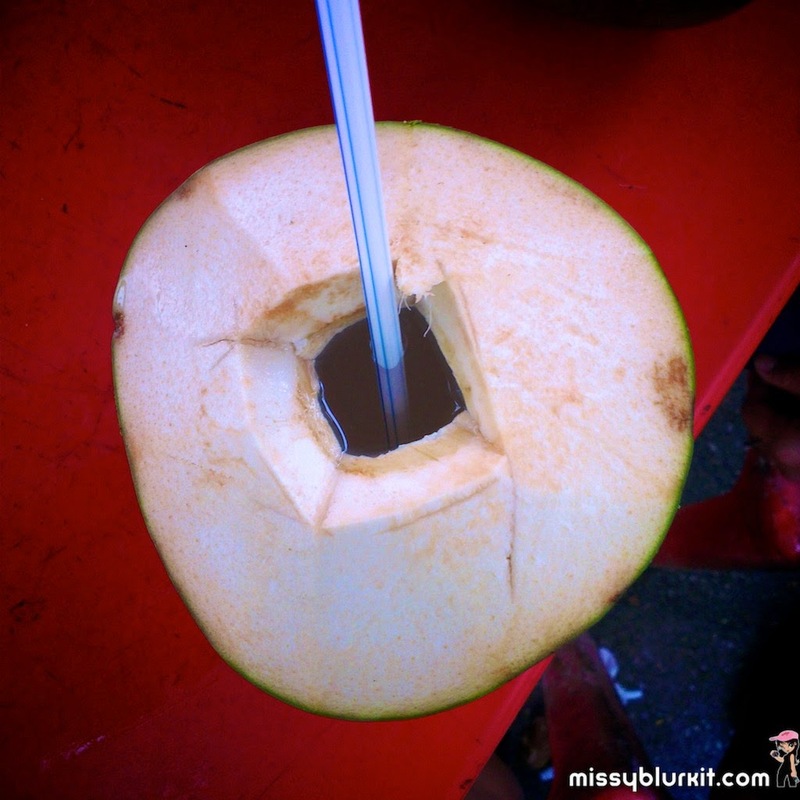 Hazy and a tad warm, I also had a young coconut to help my body cool down and detox after a hazy run. MH370 - What You Can Do for MH370!